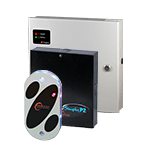 The new C2 system consists of proximity reader and a two-channel controller-keyboard. Each channel has its own relay output. One channel is dedicated to the proximity reader and cards. The second channel is used in conjunction with a keyboard to provide code based secure switch or access control. 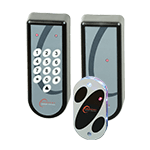 The C2 has a 100 card user capacity and 50 access codes and allows control of 1 or 2 doors. 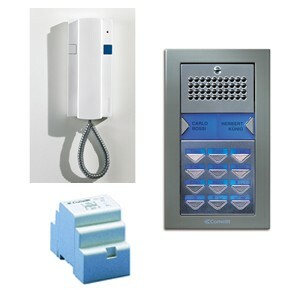 Any competent installation engineer will be able to install this equipment without any special training. Simply connect the power supply unit, locking device, proximity reader and egress device and you are then ready to program the control unit. The proximity reader is normally used for entry. The keyboard/Control unit can be situated in a number of locations to serve as an additional role: Second Door, Secure Switch Etc. The C2 system is available in various designs to suit aesthetic and environment needs and are all suitable for external use. 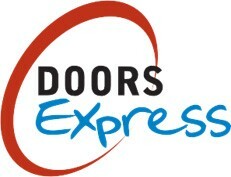 Typical applications include: small business installations and storage rooms.